Remember to get your pre-vites for the Erzullie First Look: Resort 2013 today! This event is where Erzulliestas gather for some chat, food and drink. They also get to buy the collection first before it is released to the public! 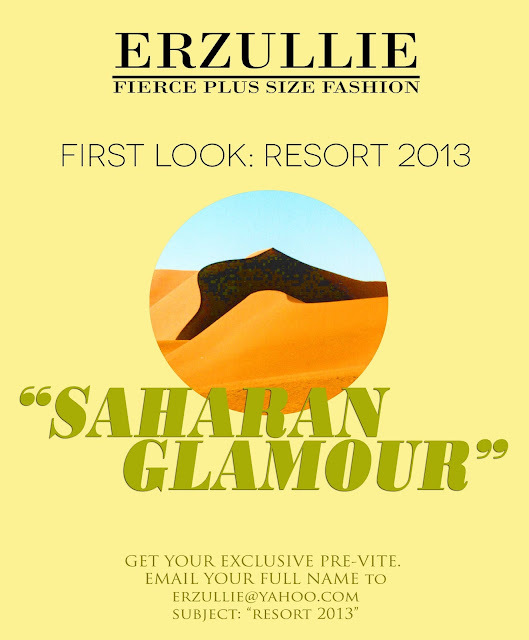 So if you want to have this exclusive viewing and shopping experience, get your pre-vite today! Check out the photo on how.